GreenCo Recycling LLC. 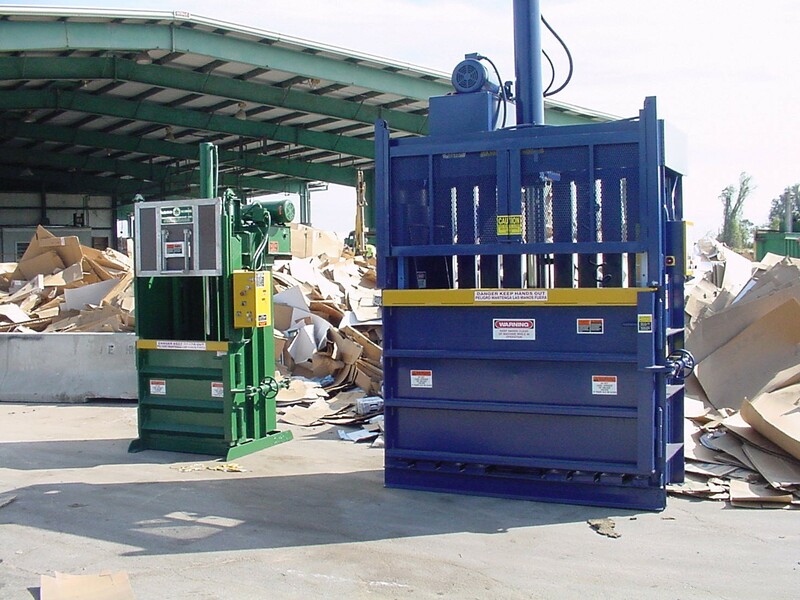 specializes in renting downstroke balers that handle cardboard, paper, foam carpet padding, and plastic. GreenCo Recycling LLC. 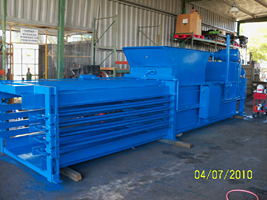 has been in the baler business since 1975. We give prompt and courteous service to all of our customers. Many of which have been with us since 1975. Our contracts include all repairs and maintenance for the machines. They come to you like brand new. We repack the cylinder, R&R all limit switches, contactors, push buttons, replace hoses and drive couplers. The safety stickers are bilingual or symbology based. Cutting disposal costs is achieved in most cases by going to baling their trash. Even over using compactors or open top roll-offs. If you are using either, your employees are doing 90 percent of the labor of baling but you are not getting any of the benefit. If they put the scrap into a baler, it will do two things. 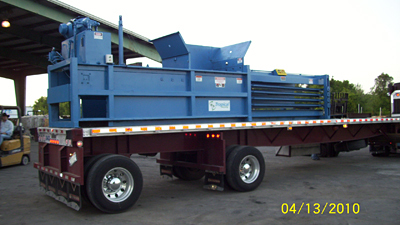 • Reduce the pull charges or compactor rental fees (which are always more than a baler). • Give you a chance to recoup money for your recyclables. No capitalization for equipment. Baling seems to be the best choice. By placing the baler near the point of generation, it also stops toting time to the dumpster and any chance inventory shrinkage. GreenCo Recycling LLC. 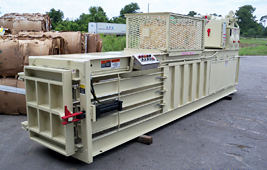 specializes in renting downstroke balers that handle cardboard, paper, foam carpet padding, and plastic. There is a 90 day escape clause. If at the end of the first 90 days you feel the baler is a mistake, we will come and get it. After the 90 day waiting period, a 24 month rental agreement will kick in. Our contracts do NOT have an evergreen clause.